Maturity is the ability to respond to the environment in an appropriate manner. The quality of behaving mentally and emotionally like an adult or the quality of behaving in a sensible way. Here are some point to show that you are a lot more mature than you think. When we realize as human beings we are built to hear more (because we have two ears) and speak less (we have one mouth,we gain more information and whatever we speak will be based on substantial reasoning. This will provide a glimpse of a thinking individual person to the people listening. you shall be perceived more seriously, and in turn this will add to your confidence. It is the first sign of yolbu becoming a more matured individual than what you were before. Before saying or doing anything, you must be able to weigh the possible outcomes and think about how it will affect others. Acting impulsively can often backfire, especially if you’re acting on strong emotions. 4.people don’t make you say sorry. You say it on your own and be certain about it. At this point in life, you know that you have been wrong at least nine million times. Okay, maybe not that much. When you are, you know when to apologize and accept that you are wrong. You work it out with the person you have hurt and continue as friends. If you are like me, apologizing is a big step, so be proud of it. There are times when you think you are right in an argument but by winning an argument you may lose a good friend(click here to read on who your good friends are). So, it is advisable to refrain from arguing too much at these times. when things are normal, the other person with whom there was an argument may realize your point of view, or it is also possible you have the knowledge of his/her perspective better. For, just because someone is not agreeing to you, does not mean he/she is wrong. By arguing less, you are providing the required space and honour to others, and at the same time you are buying more time for yourself to look at the other’s argument from another angle. And additionally, you have more respect from others. This shows you are now becoming a mature man or woman. Life is ups and down. It doesn’t matter how hard researchers try to predict it, it remains unpredictable. You plan for today in the morning, and by the evening you have to modify it to accommodate something unplanned. Whatever the problem may be, wearing a smile has a positive impact on your body,spirit and mind. So, if you are being found smiling, you should consider this as a sign of getting matured. Being humble about your successes speaks volume to your character. Maturity is about not being arrogant, and appreciating those who helped you becoming who you are. Also, learning how to laugh at yourself and not taking yourself too seriously is important. Sometimes conflict is needed to resolve an issue at hand. Mature people know how to differentiate between the two situations. There’s only one constant in life: inconstancy. If there’s one thing that scientist agree upon, this is it. As we grow, this is a teaching we learn time and again. No matter how strongly we attempt to keep things the same, there is simply no doing so. Even if it takes years, life will shake things up, scare you, force change upon you. It will dash your hopes and collect dust on your desires, even as it surprises and delights you with things you could’ve never imagined. Most people, however, fail to grasp this and continue to push, plan, fight and resist, even up to the very end. If you are someone that has caught on, however – no matter what stage of life you may be at – again, congratulations! You have come to understand one of the greatest teachings the world has to offer: uncertainty is a precondition of life . This doesn’t mean, of course, that you don’t make plans and go about your business, it simply means that you let go of the need for things to turn out in a narrowly specific way. Own your strengths,that’s how you can make sure you reach your potential. Being aware of your weaknesses is also important for knowing how to not let them pull you back. You’re reading this article, this action itself shows you are serious about being considered mature. You now seem to shoulder your responsibilities and want to know the meaning of your existence. Therefore, you are looking for things you should know/do in order to become a responsible and mature citizen. This is a sign of you now being a mature individual. 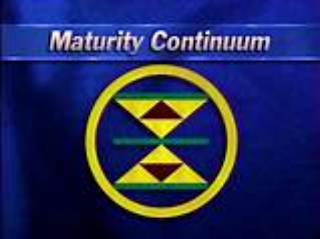 Maturity brings with it responsibility. With responsibility comes sensibility. Sensibility leads to confidence. So move with confidence to show the world you have now matured.